“Men are from Mars, Women are from Venus” – the famous book – deems true in the world of financial planning as well as life’s day to day. Your goals and aspirations are much different than those of men. 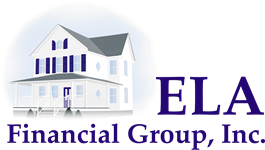 We can offer you the guidance to create a financial picture for your future that will follow you through your career and help bring you to a retirement you can enjoy with your family . We take time to structure a plan to address your goals and aspirations. Let us help you work to achieve your financial goals as we lend you support as you take ownership of your financial future. Take pride in life’s most important decisions – they belong to YOU!